Revolution Money Exchange is a new way to exchange money online. Like Paypal, Revolution money Exchange allows you to send and receive money online. But that’s where the similarities end. Which product is better? That depends on what you are trying to. Run an online business? Paypal may be your best choice for now. More of a online shopper and tired of paying Paypal fees? Than Revolution Money Exchange might be just what you’ve been waiting for. Is Revolution Money Exchange a scam? No. When I first ran across a few blogs talking about Revolution Money Exchange, I figured it was just another money making scam like so many others I run across daily. The I noticed that Pete from Biblemoneymatters.com was using it and that same day I received an email from Patrick of Cash, Money, Life about it as well. Since I respect both of them, I thought I’d check it out. Turns out, it’s not a scam at all, but a very legit money exchange service that I think it really going to give Paypal a run for their money. Revolution Money Exchange was launched in 2007 and is part of a family of companies with Revolution, LLC. One of initial founders was Steve Case co-founder of AOL. Steve is currently Chairman of Revolution, LLC and serves on the board. The credentials of the other board members is equally impressive: Ted Leonsis – Washington Capitols owner, David Golden – former Vice Chairman JP Morgan, Russell E. Hogg – Former President & CEO for Mastercard, David Pottruck – Former CEO Charles Schwab, Frank Raines – former Chairman & CEO of Fannie Mae, and Larry Summers – former Secretary of Treasury.? A pretty impressive array of background and experience. The founders, including Steve Case, received venture capital funding for their effort from Citi, Morgan Stanley, and Deutsche Bank and partnered with First Bank & Trust, Brookings, SD where accounts are actually held. Limitations – To reduce their risk of fraud, Revolution Money Exchange places limits on transactions and accounts: Max value of an account is $2,500, only one account person, transactions are limited to $1000.00 per day and $2,500 per calendar month, money transfers up to 30 times per month. Business services – Paypal has been around a long time, and has not only established itself as the number one service for personal use, but also for online businesses. Revolution Money Exchange focuses purely on person to person money transfers. They currently provide no business services like Paypal such as subscriptions, gift certificates, payment management, invoicing, shipping, etc. 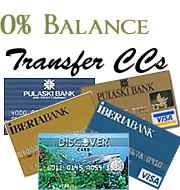 No Credit Cards – Paypal allows members to accept credit cards if you have a premier or business account. Revolution Money Exchange does not allow this. Not accepted by everyone – Revolution Money Exchange is new and therefore isn’t accepted by places yet, but the list of merchants where you can use it is growing. I see it’s use expanding, but for now usage is limited. No international support – Currently, money cannot be sent or received internationally. Also, you must be a U.S. resident and your linked bank must be a U.S. bank. Simple – Does one thing, does it well, and does it with no fees. If you just want to transfer money to someone, or receive money from someone Revolution Money Exchange is a great service. Until May 15th, one very attractive feature is available with Revolution Money Exchange, a free $25 sign-up bonus. All you have to do is open a new Revolution Money Exchange account by clicking on the green button below and completing the required information. Once you’ve signed up, you’ll receive your $25.00 and then you will be able to refer other people. 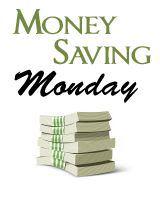 When you refer then and they sign up, they’ll receive $25 and you’ll receive $10.00 (up to $500.00). I signed up initially just to receive the $25 sign-up bonus, but ended up using the service to purchased some calcium for my saltwater tank from a fellow hobbiest, and purchased a Entrecard graphic from Pete at Bible Money Matters. I’m still using Paypal, but looking for any opportunity I can to use Revolution Money Exchange just to save money on the fees! Paypal is a far more mature and robust product than Revolution Money Exchange, but if sending and receiving money is all you want to do, Revolution Money Exchange is a great option. The company is backed by a credible board of directors, accounts are held in a reputable financial institution, and the site seems to be very secure. Give it a try, worse case you walk away with $25.00 in your pocket! Have you used it? What’s your experience? Is it something you would use? Add a comment! I think this is definitely an interesting service. I’ve used it for transferring money several times already, and I like it – especially with no fees! Another satisfied user here. I’ve used it a couple of times and it works great. My first three transactions went fine. But I am getting ready to write a post about RME, especially my most recent experience – because it is not going so well. It shouldn’t take 2 weeks to transfer money out of my account. RME has a lot of growing up to do, I think. Does RME pay interest on the cash in the account? I signed up last week for the $25 bonus. A few shops on Etsy (including me) have started accepting RME as a payment option. I haven’t had anyone ask to use it yet but at least it’s an option. @ChristianPF – No they don’t. Good point though, as I should have mentioned that. I don’t keep my money in either my Paypal or RME accounts, I transfer it over to my ING savings pretty quickly. @paidtwice – I agree, they are still in the early stages, but for $25 bucks and no fees, I’m ok with dealing with the growing pains. Thanks for clarifying this… I’ve been wondering about Revolution Money Exchange for awhile but I kept forgetting to look it up. I’m going to sign up now for the free $25! The requirement for one’s SS# is a deal breaker for me. And it is completely unnecessary. There’s no way I’m coughing up my SS# to some start-up that may be gone tomorrow. This is a huge mistake on their part… they’ll never reach critical mass as long as they require a SS#. Paypal doesn’t charge to send money. They also don’t charge to receive if you are using it the same way as you would this Revolution place. I.e. don’t have a business or premier account and you are only accepting cash payments, and not CC. The lost of those involved in founding RME just pushed me over to the side of “no way in hell” I will be part of RME.